This is a two-part series and you can check out part two of ‘22 reasons why you should fall in love with Estonia’ here. Forests are important, so much so that some Estonians would tell you “Our home is the forest”, as the country’s green lungs are traditionally viewed as shelters for Estonians whose roots are deep in the soil of the country. All forest sites are free and anyone can go and camp. The largest forests are in northeastern and central Estonia, home to untamed wildlife including foxes, deer, wolves, elk, and bears. 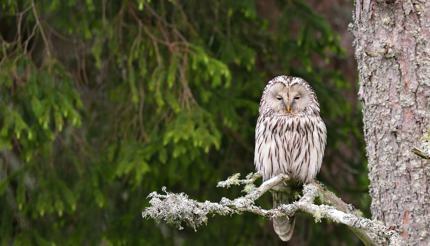 Järvselja Primeval Forest in south-eastern Estonia is the oldest protection area in the country, home to species of adorable owl and a 360-year-old Kuningamänd pine tree. 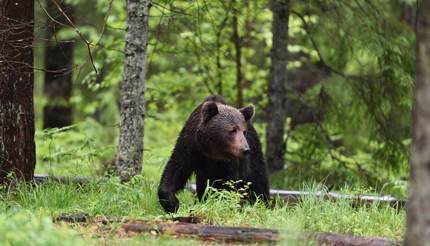 With a population of about 700 brown bears, Estonia boasts the highest brown bear density in Europe. The largest populations can be found in the northeast Alutaguse forest. The best time to go bear spotting is during Estonia’s “White Nights” – after the summer solstice when daylight extends into the night hours. Around this time bears are coming out of hibernation and giving birth to cubs so it’s not uncommon to see a mother with up to four cubs, a rarity for all other types of bears. 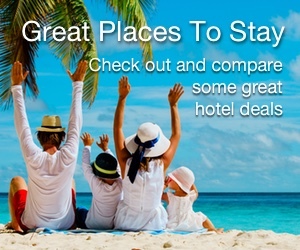 Bear-watching and bear-spotting tours are available from different companies, often overnight so visitors have the best chance at spotting a bear and other wildlife like racoons and foxes. 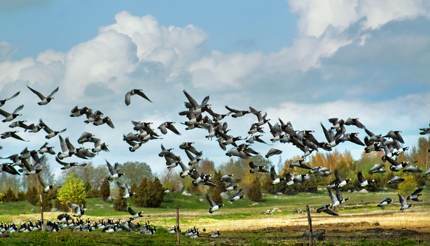 The East Atlantic Flyway is a migration route used by some 90 million birds annually and there are two key sites in Estonia on the flyway: Haapsalu (a small town on the western coast) and Matsalu National Park. There are several birdwatching towers in Matsalu with the most popular ones located in Haeska, Keemu and Kloostri. 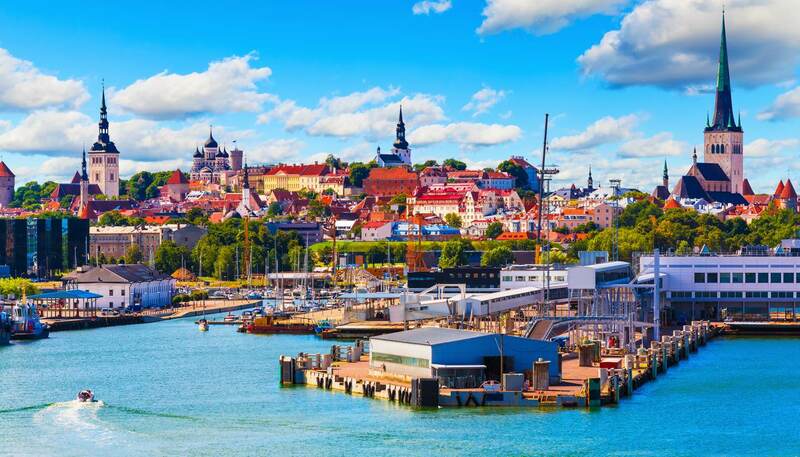 Most Estonian islands are located a short ferry ride from the country’s western coast, mainly in the West Estonian archipelago and the Gulf of Finland, offering peace and tranquillity. Saaremaa, the largest island in Estonia, is criss-crossed with hiking trails and is also famed for Kaali crater, a group of nine meteorite craters thought to be 3,500 years old. A bog is a wetland ecosystem that accumulates dead plant material known as peat to form a carbon sink. This carbon sink is a reservoir that collects and stores some carbon-containing compound for an indefinite period. Bogs have distinctive accumulations of animals, fungi, and plant species that all contribute to biodiversity. Estonia has been working to cut down its carbon emissions by reviving its bogs (which used to thrive before they were drained during the Soviet Union occupation). To learn more about the bog ecosystem, visit and enjoy a nature walk at Viru bog, about 54km (34 miles) west of Tallinn. Tallinn the capital has a charming Old Town dominated by the soaring steeple of St Olaf’s Church which dates back to around the 12th century. The spire is currently 124m (407ft) tall after being rebuilt several times due to lightning strikes and extensive fires. Talking about tall buildings, Tallinn TV Tower comes in at 314m (1,030ft) and, on a clear day offers unbeatable views of the city and the Gulf of Finland from the 21st-floor viewing deck. 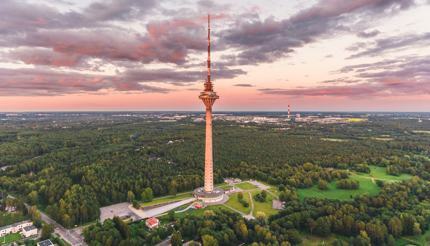 The original purpose of the tower was to provide better telecommunication services for the 1980 Moscow Summer Olympics regatta and bullet holes from the Soviet coup attempt of 1991 are still visible at the tower’s base. Among the many towers in the capital, one to look out for is Kiek in de Kök. It means ‘peep into the kitchen’ in German, derived from the fact that soldiers who used to be in the tower were so high up they could see into the kitchens of nearby houses and also any incoming enemies. This 38m (125ft) high tower still has cannon balls from 1577 embedded in its wall. 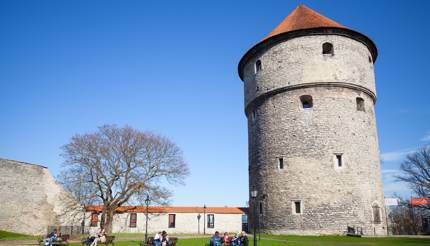 The tower is now a museum and photo gallery showcasing the history of Tallinn and the most important war events from 13th-18th centuries. Visitors can even try their hand at a shooting simulator in the arms room. It also offers access to passages in the city wall that lead to different areas in Tallinn. With a strong medieval history, the Medieval Days events in Tallinn’s Old Town have become some of the most important events of the Estonian Folk Art and Craft Union since 2000. Every July the town square is transformed into a medieval market. A children’s area with knight school and archery tournaments and a medieval carnival in the Town Hall round out the festivities. In the southern part of the Old Town, Freedom Square in Tallinn can teach you a thing or two about the country’s history. Its name changed over the centuries, as invaders came and went and political situations changed. During the Russian empire, it was called Peter the Great Square. During the Soviet Period, it was called Victory Square. After Estonia regained independence, it was called the Freedom Square and in an eager capitalistic move, saw it become a car park. Thankfully the car park is now underground and the square is once again a popular public space. 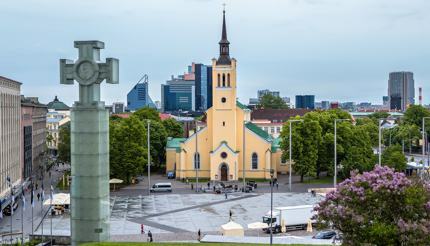 Look out for a glass panel in the northwest of the square – it shows the foundation and stairs of the medieval-era Harju Gate tower. Estonia has a long history of producing high-quality handicrafts including hand-knitted jumpers and very pretty embroidered Muhu slippers. Quirky wooden products like wooden bow ties and wooden butter knives also make great gifts. Keep in mind these are handmade, so they aren’t cheap but they’re definitely worth the extra splurge in most cases. 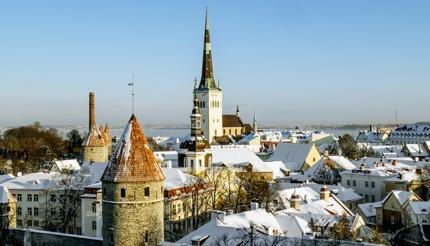 Continue reading part two of ‘22 reasons why you should fall in love with Estonia’ here.